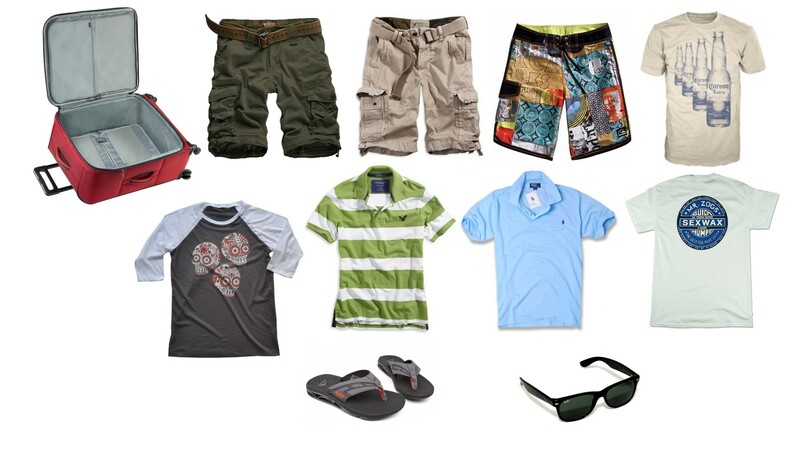 TRAVEL CHECKLIST – WHAT TO PACK FOR MEN: Casual spring or summer clothing and a hat. For going to nightclubs a nice pair of jeans, a collared shirt and nice shoes are often required. A dress shirt and slacks may be needed if staying at a resort which requires nice attire for dinner. Evening outings aboard water taxis, sailboats or catamarans can be cool and breezy, so you may want to pack a light sweater, sweatshirt or jacket. Remember to pack undies. TRAVEL CHECKLIST – WHAT TO PACK FOR WOMEN: Casual, comfortable spring/summer clothing and beachwear. Especially during the hot and humid summer months you’ll want to pack cool fabrics that dry quickly when moist, offer good ventilation, and ideally do not drastically change color when wet (none of us girls appreciate perspiration marks showing up on our clothing!). You’ll need a few dressier outfits if staying at an AI resort requiring dressier dinner attire, or if in the evenings you plan to go clubbing. Wear a light sweater to the airport so that you’ll have that with you in case it is needed for cooler evenings out on the ocean during boating excursions. Remember to pack sleepwear, underwear and bras. Double Ziplock all liquids, powders, creams and sprays to prevent spillage or leakage on your packed clothing. If you will be checking in your luggage at the airport, then in your carry-on take one set of clothes, a swimsuit and flip flops in case your check-in luggage is lost or delayed by the airline. If you plan on engaging in activities such as zip lining, you will want to bring a pair of athletic shoes and socks. If your feet will not be comfortable going on walking excursions in flip flops then take a good pair of walking shoes. If your luggage is getting heavy and is close to the airline’s check-in weight limit, wear your heaviest pair of shoes on the plane. Before your trip find out if your hotel or condo provides beach towels or you may need to pack one. Don’t let your sweater, light jacket or sweatshirt take up valuable space in your suitcase: wear this item on the plane! If you’re traveling during the rainy season months of June through October, be sure to pack a travel umbrella. If you’re traveling with infants and toddlers, you can leave car seats, travel cribs, strollers, diapers, extra baby food and formula at home! A special baby equipment rental service in Puerto Vallarta will have these items waiting for you at the airport or at your hotel when you arrive. SCRATCH THESE ITEMS OFF YOUR TRAVEL CHECKLIST! Here we’re referring to all of those bulky, heavy toiletry items. Check with your hotel or resort to see if they provide soap, shampoo, conditioner and body lotion. If these items are provided, then you can scratch these items off your travel checklist! If you’re staying at a condo, you’ll most likely have a starter bar of soap, but will need to provide all of the other items yourself. But don’t let toiletry items take up prime space within your suitcase! In Puerto Vallarta there are big grocery stores as well as smaller convenience stores such as OXXO conveniently located throughout the city, as well as Walmart, Sam’s Club and Costco. On the afternoon our family arrives in Puerto Vallarta, we drop off our suitcases at the condo, and then go to a nearby grocery store to purchase the heavier or more bulky toiletry items we decided to leave at home such as shampoo, conditioner, body lotion, shaving cream, bars of soap, and bug spray. If you’re staying at a condo, you’ll be heading to the grocery store anyway to purchase water bottles, drinks and other basic groceries, so just plan on picking up your toiletry items at the same time. For women, although there are a wide variety of feminine hygiene products and hairspray brands (think AcquaNet Hairspray) readily available at all stores in Puerto Vallarta, you may not find the exact brands you are using at home. But if you are flexible with these things, then you’ll be able to easily locate these items at any grocery store in Puerto Vallarta. Grocery stores and markets are marked on our city maps, e.g., Map of North Centro/Downtown. Staying at an older hotel? Add a cheater plug to your travel checklist. OUTLETS: At all major hotels, resorts and at the numerous modern condo buildings in and around Puerto Vallarta, Nuevo Vallarta and Banderas Bay, the plugs are the very same as they are in the USA (3-prong outlets) so there is no need to pack adapters for your laptops, iPads, blow dryers, curing irons, etc. However, if your accommodations are at a really old hotel in Puerto Vallarta, then you may encounter only 2-prong outlets. 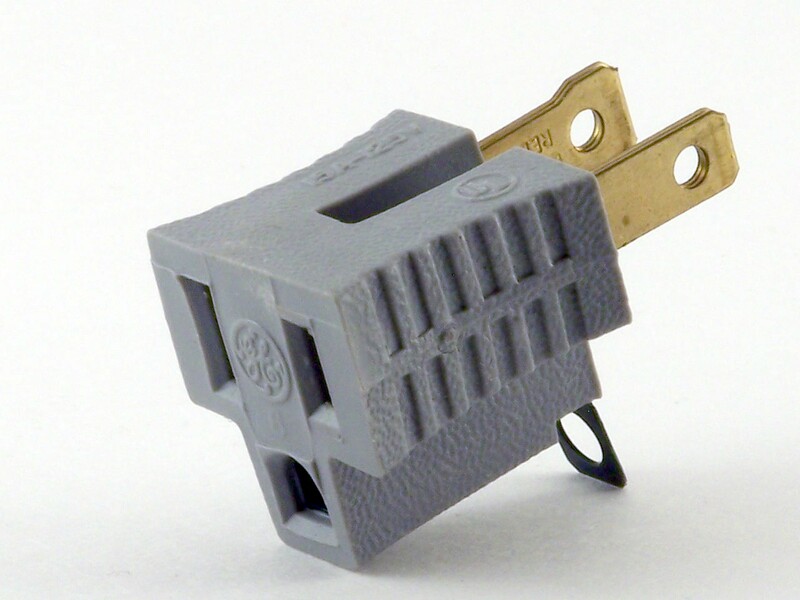 So if staying in an older building, then it’s definitely a good idea to bring along a “cheater plug,” a 3-prong to 2-prong adapter found very cheaply at any hardware store in the USA. ELECTRICAL VOLTAGE: The electrical voltage in Puerto Vallarta, Nuevo Vallarta and around Banderas Bay is the same as in the USA so there is no need to pack electrical converters. EXTENSION CORDS/POWER STRIPS: If you are traveling with a lot of electronic devices, add an extension cord or power strip to your travel checklist! A simple extension cord will come in very handy if you find that the outlets in your room are situated in inconvenient locations. A power strip will be very helpful if there is only one outlet in the bathroom and you want to plug in your curling iron at the same time you are using the blow dryer. Or if you need to plug in your laptop at the same time you’re charging your camera battery or cell phone. Add a string backpack to your travel checklist! Thanks for your wonderful website. It was invaluable to help us on our first trip to Puerto Vallarta. I wanted to suggest that you add a STRING BACKPACK to your suggested items in what to pack – my daughter threw one in our suitcase at the last minute & we used it every day – it was especially great for adventures like ATV’s, hiking and to take for snorkeling. We also found that we were in a better situation to negotiate on purchases if we took off our wristbands from the All-Inclusive resort. I detest negotiating on a price but apparently that is expected on virtually every purchase.